What’s Cheap and Tastes Like Liquid Crack? For any of you who have read this other post by me, you won’t be surprised by the answer. Check out the photos first and then the actual review below them. Where could it be from? Aha! No real surprise here. 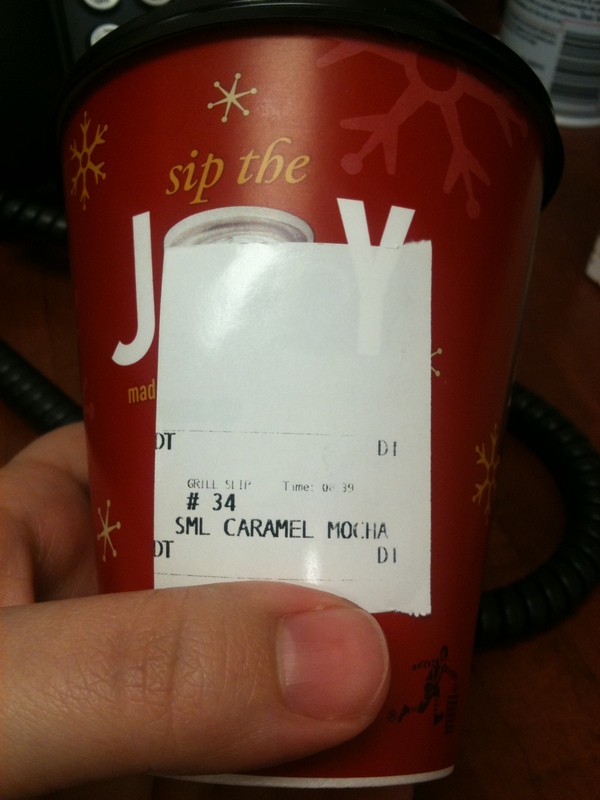 Holly jolly holiday cup o’ joe. 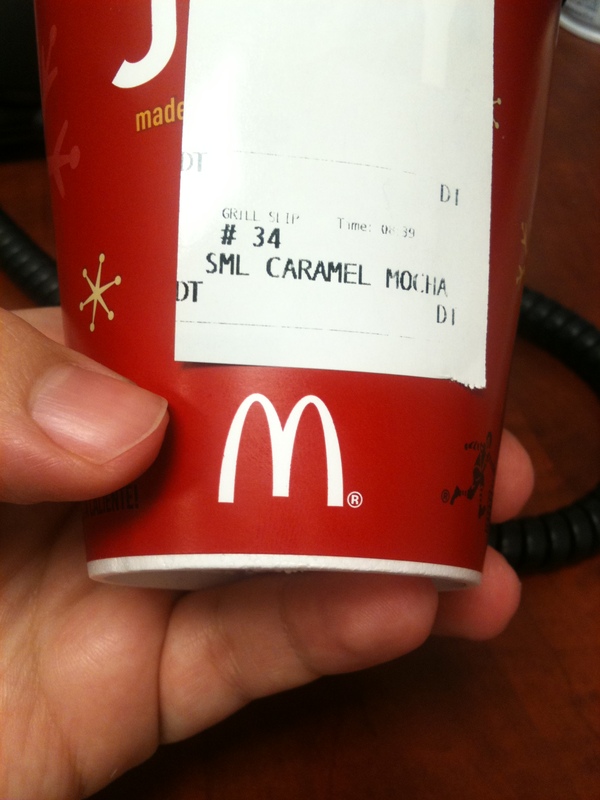 Today, I made the choice to try their new Caramel Mocha. 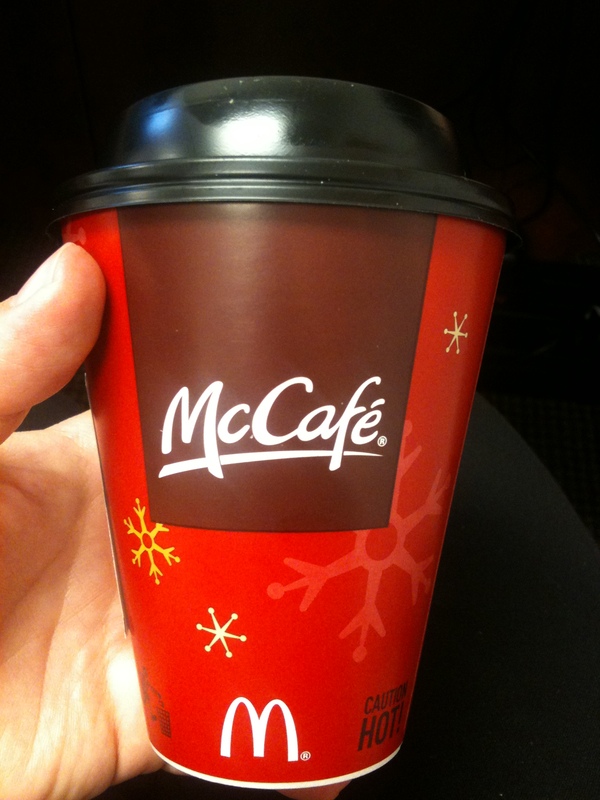 I don’t really know how this works, seeing as a mocha drink is already awesome as it is. I mean, hello – espresso, chocolate, steamed milk, and whipped cream. But the caramel edition intrigued me. But when I tasted it, the first thought that popped into my head was, “Whoa. That’s too bad.” It was so sugary that it pretty much tasted like liquid crack. From the caffeine in the espresso, the “chocolate”, plus the sugary caramel flavor mixed in, I prayed I wouldn’t bounce off the walls at work. They didn’t put whipped cream on it. I didn’t even finish it.